Monday - weekly sale of finished lambs, store & cull sheep and fodder, gates open at 9am. 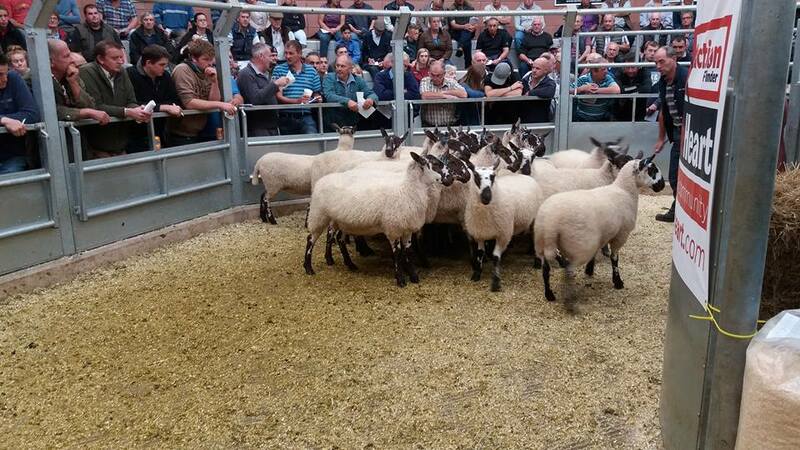 Sale of Fodder at 11.30 followed by Sale of finished lambs -12.00pm. Wednesday - weekly sale of finished lambs, store & cull sheep, cows & calves, feeding bulls, store cattle, barren cows (tested & untested sections), calves & stirks, - weighing from 6am. Sale of finished Lambs - 9.45am. Sale of Cattle in the main ring commencing at 11am with Cows & Calves followed by Stirks, Bulls & Store Cattle. Barren Cows - 12.30pm (tested & untested). Seasonal sales - In addition to the weekly sales above seasonal sales of Breeding Sheep & Rams, Breeding Beef Cattle, Weaned Calves, Pedigree Livestock.